They called them Christy Girls. 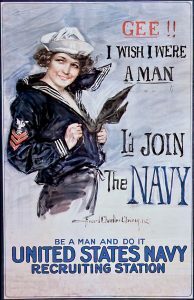 Their job was to capture the attention of young men in the early days of the 20th century and inspire them to go to war. 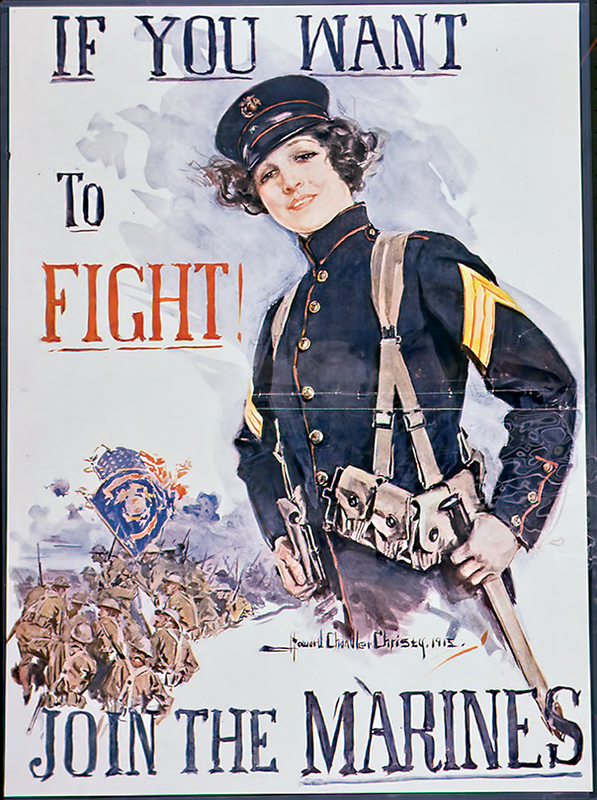 To commemorate the 100th anniversary of Armistice Day, Skillman Library’s Special Collections is featuring seven posters by American magazine and book illustrator Howard Chandler Christy. The exhibition is drawn from the artist’s collection of posters, sketchbooks, documents, and correspondence. Christy was born in Ohio in 1873. He died in 1952. His work was an indelible part of American culture in the first half of the 20th century. 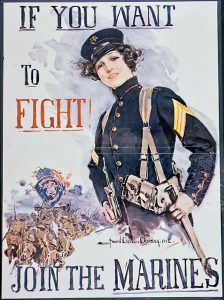 Christy created more than 40 recruitment, bond sale, and service organization posters for the U.S. Division of Pictorial Publicity during World War I. His trademark Christy Girl became one of the most influential images of the U.S. government’s propaganda campaign to bolster domestic support for the war. 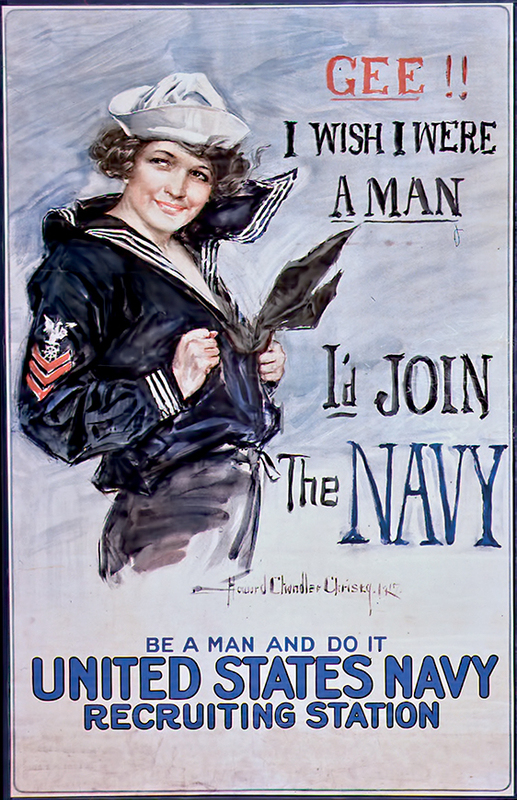 Other posters, however, show a rare commitment to diversity. 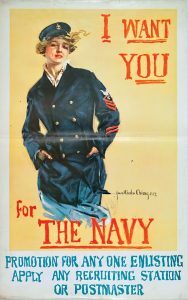 A poster for Victory Liberty Loan includes a Christy Girl holding an “honor roll.” On it, a list of names represents a variety of nationalities and backgrounds. “Americans All,” the poster proclaims.